Look out, flies! 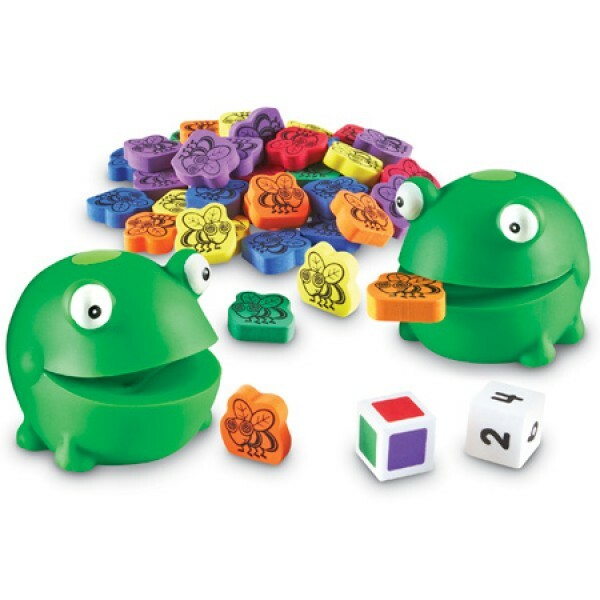 Squeeze open Froggy’s mouth and grab flies to strengthen fine motor muscles. Also develops number sense, counting and color recognition. Roll a cube to determine which flies to munch—practice number and color matching skills too. Includes 2 durable rubber frogs, 60 flies, 1 number cube, 1 color cube and Activity Guide.